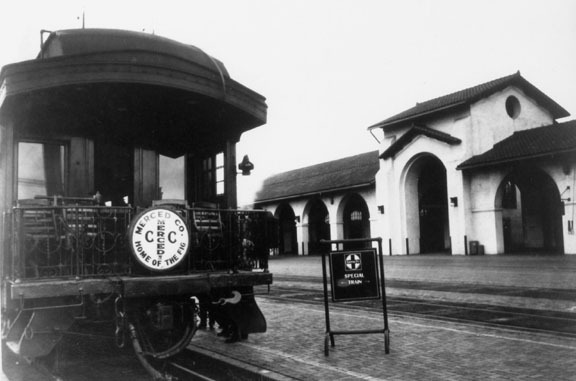 The Central Pacific Railroad, the parent company of the Southern Pacific Railroad, completed its line through Merced in 1872. 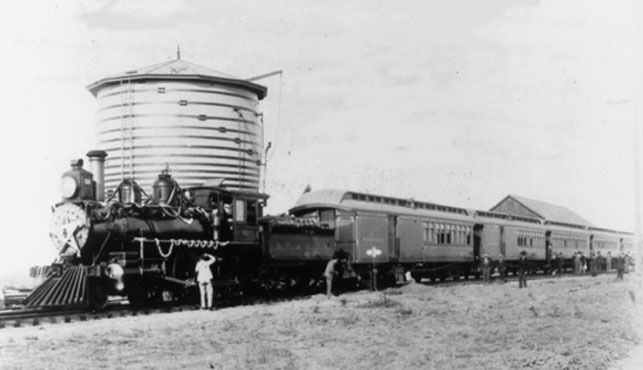 1890 saw the West Side Railroad and the Oakdale Branch completed. 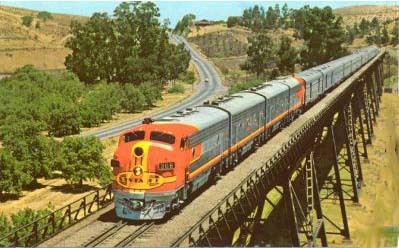 The Spreckels' Road, San Francisco and San Joaquin Valley Railway, later to become the Valley Line of the Santa Fe Railway was built in 1896. The Yosemite Valley railroad opened for business in 1907. 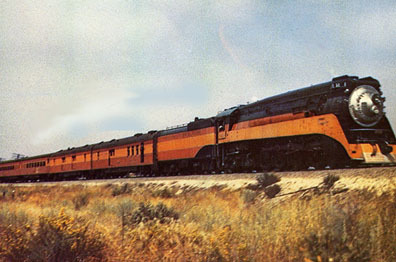 The last railroad to enter the county was the Tidewater Southern that terminated at Hilmar was completed in 1917. San Francisco & San Joaquin Valley Ry. The "Emansipator" - October 5, 1896.
over the S.F & S.J.V. Railway's new road. A Southern Pacific San Joaquin Daylight.